Graphic from the report: Click to enlarge to make it more readable. Note: Translating Cuba posts this graphic and the link to the larger report, as we post everything on our site, without any “guarantee” that what the authors say is accurate or even true. 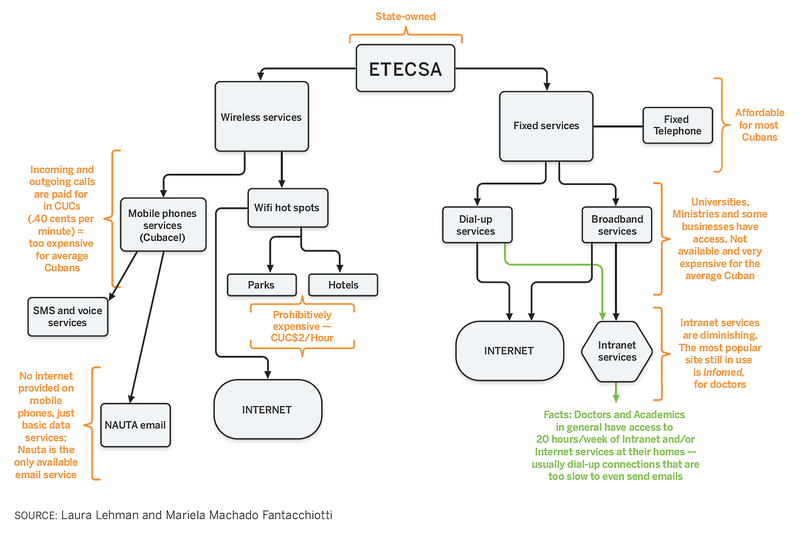 However this report is getting good reviews by people “in the know,” and the graphic appears to be an excellent and easy to understand summary of the current formal arrangements for phone service and internet in Cuba.